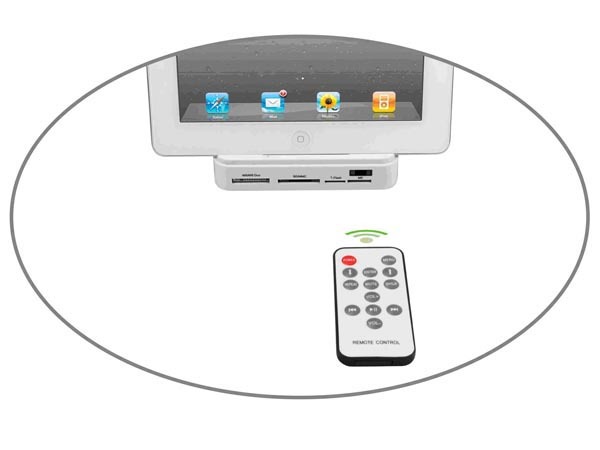 The multi functional docking station not only is able to charge and sync your iPad, but also features many extended functions. If you’re curious, let’s go on checking the following docking station. This is a versatile charging station designed for original iPad and iPad 2, even so, the docking station is also compatible with other iOS devices including iPhone and iPod touch. As we can see from the images, the iPad dock features lightweight and portable design, and the minimalistic cradle allows you to easily dock your iOS device on the docking station for charging and syncing. 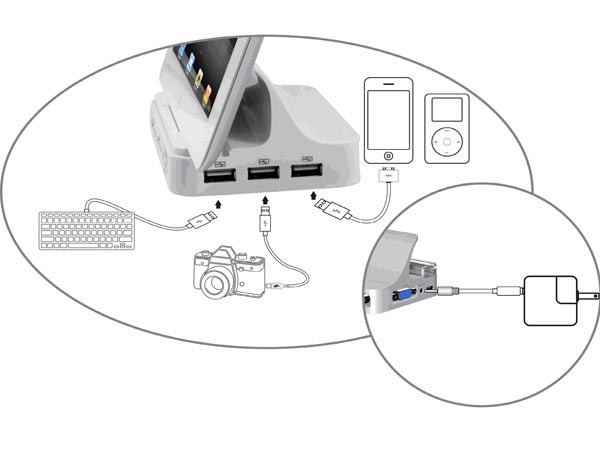 The iPad dock comes with 3-port USB hub and a card reader combo in order to transmit photo from your camera, iPhone, iPod touch, memory card, and USB flash drive to your iPad, and the docking station also supports other USB gadgets such as keyboard and more. 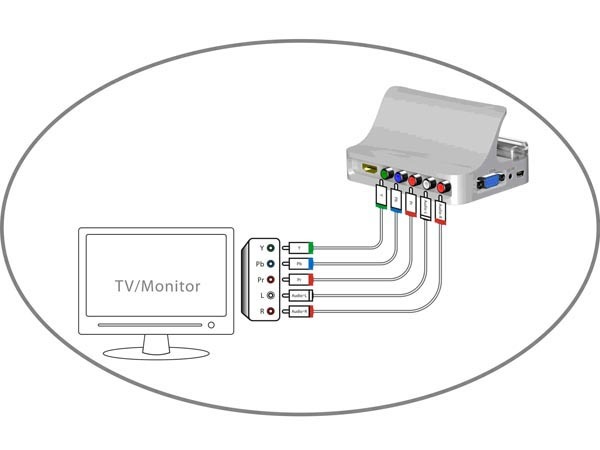 Moreover, using integrated video output, VGA output and HDMI output, you can also enjoy your favorite movies from your iPad, iPhone or iPod touch on a larger screen. 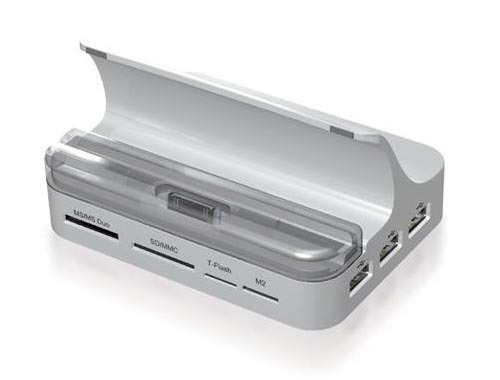 The multi functional docking station is priced at $92.99 USD. If you’re interested, jump to USBfever online store for more details.